Once again thanks for the costume. 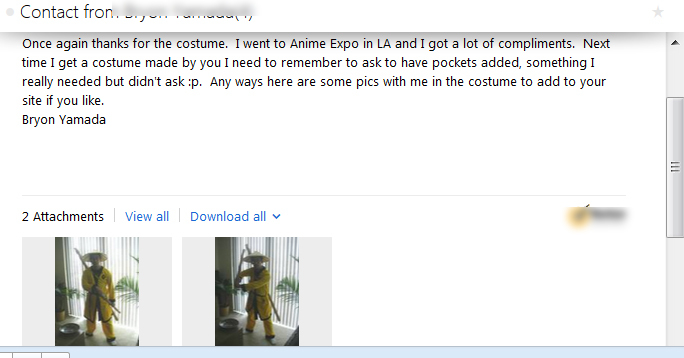 I went to Anime Expo in LA and I got a lot of compliments. Next time I get a costume made by you I need to remember to ask to have pockets added, something I really needed but didn’t ask :p. Any ways here are some pics with me in the costume to add to your site if you like.